The Accursed Kickstarter ends in just hours after this posting! To keep the great content coming for the Accursed blog, we need to get some more likes for our facebook page--we'd love to get to 500 by the end of the Kickstarter, but we can only do that with your help. Today, we're going to look at some of the inspirations for Accursed's unique artwork. 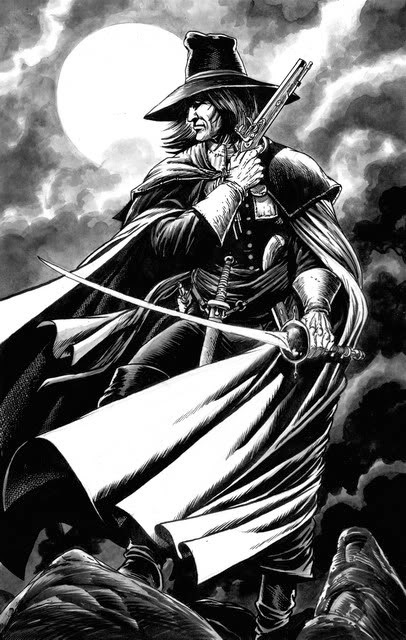 Undeniably, two of the largest influences on Accursed's look and feel are Solomon Kane and Castlevania. From Solomon Kane, the great black and white line art from Timothy Truman brings to mind the grim setting of Morden, the home regions of the Accursed RPG. Morden is a land beset by monsters, witches, and war, and in many ways the exact kind of place that someone like Solomon Kane would fit in. From Castlevania, the gorgeous gothic elements of both the characters and the setting--particularly the monsters, castles, and tone of the environment--all match what we wanted to showcase in Accursed. 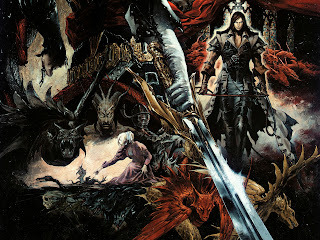 When you look at the world of Castlevania, you're also seeing the cities of Valkenholm, the castles of Steppengrad, the halls and plazas of Manreia. Without a doubt, the fantastic skills of Alberto Bontempi help bring Accursed to life with images of the core Witchbreeds and the cover for the setting. 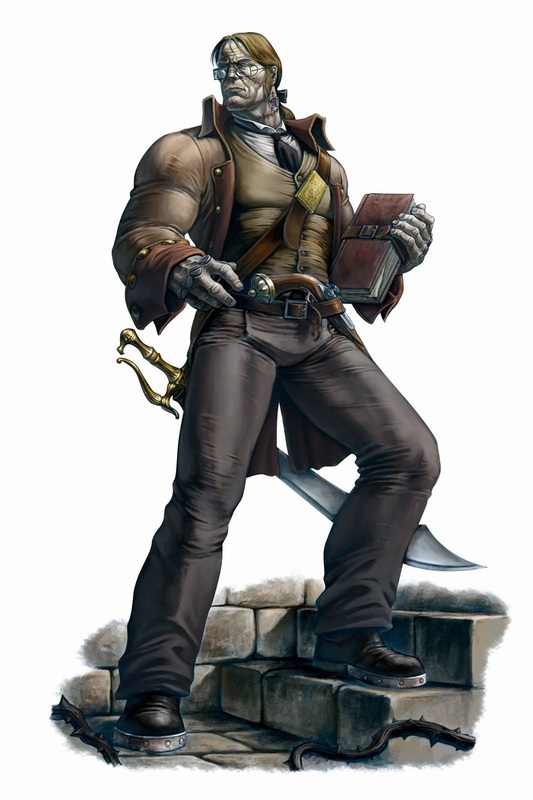 His exceptional skill at using shading, lighting effects, and bringing out the details of every piece took the Accursed to a whole new level. 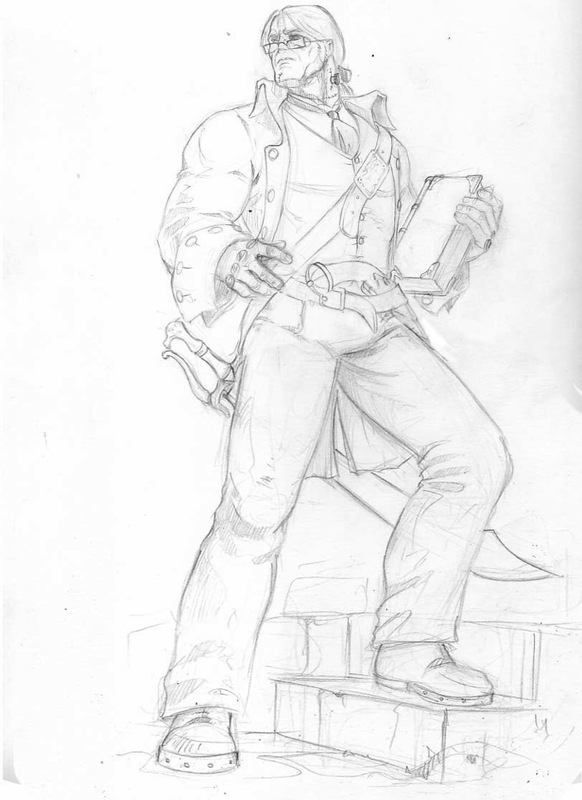 As a special preview, we present a sketch of some of Alberto's work on the prime villains of Accursed: the Witches of Morden and the architects of the Bane War. 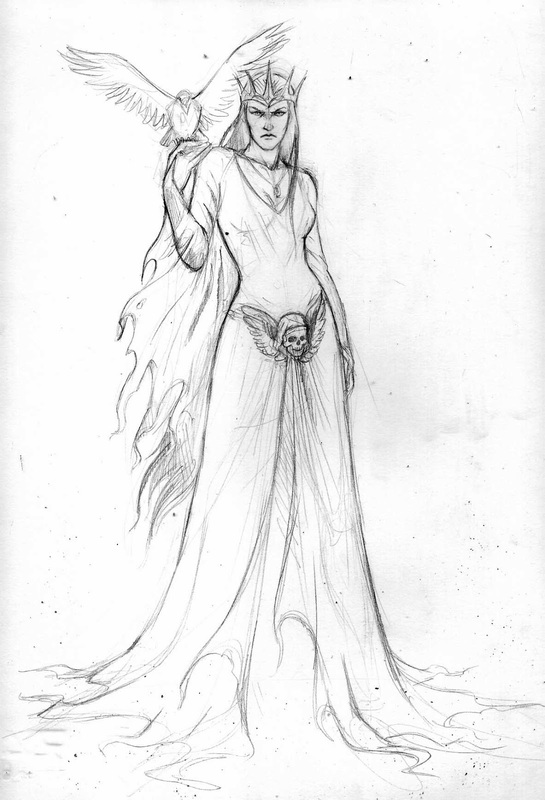 Here's Alberto's sketch for the Morrigan, the Witch whose mastery of necromancy devastated the nation of Cairn Kainen. We're continuing to develop the world of Accursed through both writing and artwork, and we're excited to work with great artists like Alberto, Jacob Atienza, and Sacha Diener. Of course, Morden isn't just threatened by Witches and the Accursed themselves -- there are the Banes, the hideous monsters who serve the witches. 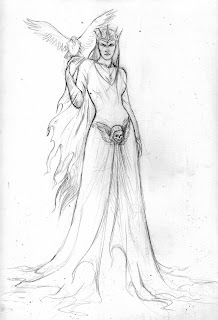 There are the Unseelie fey, cruel and capricious beings who enjoy toying with mortals. And there are other, even stranger creatures from far across the Discordian Sea. Visions of these beings, the other regions of Morden, and much more are are all being developed by these talented artists to make Accursed even more memorable. To see more of Accursed's artwork and to help push our kickstarter to new heights, don't forget to stop by and check us out before October 13. If every witch mark for every witch is different, will there be artwork of all the witchmarks? Every Witchmark for every individual Accursed is different, shaped by their personal histories and personalities. We do have a different piece of artwork for each of the eight different Witchbreeds that we've portrayed. If you check out the Zazzle shop at http://www.zazzle.com/meliorvia* you can see the eight different Witchbreeds and their marks.